Although I like to focus on digital examples for Social Good Sunday, in honor of Black History Month, which just ended, I thought I’d share some physical examples of social good from Jan. 20 — the official US observance of Martin Luther King, Jr.’s birthday. Agudas Achim Congregation, a conservative Jewish synagogue in Alexandria, VA, hosted a series of events to provide opportunities for the community to continue the legacy of MLK, Jr. After a play presenting a fictional meeting between Martin Luther King and Malcolm X, the community hosted 3 different efforts to help the greater community. After receiving donations of warm clothing, shampoo, and other personal care items from the community, volunteers sorted the donations and got them ready to deliver to Carpenter’s Shelter — a local homeless shelter serving over 1000 adults and children each year. Donated items will help residents stay warm, clean, and healthy this winter. 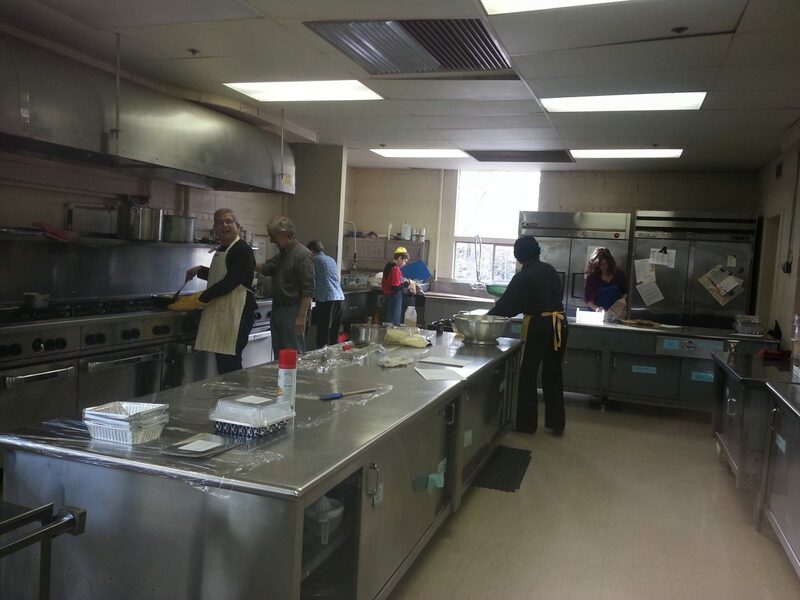 Carpenter’s Shelter also receives meals from the community for its soup kitchen and members help serve meals. A special project of the community involves preparing and serving a holiday meal for Christmas, which allows Christians to enjoy the holiday with their families. Similarly, the community collected gently used cookware and bakeware for ALIVE, which acts as a safety net for needy Alexandria residents. ALIVE mentioned a specific need for this cookware to help residents prepare healthy meals for their families, which helps them remain in their homes longer. When a Jewish family or individual needs meals, it’s often challenging because local restaurants aren’t equipped to prepare food to the stringent dietary laws observed by many Jews. So, the Jewish community steps in to provide Kosher meals as local residents recover from injury or illness, death, of simply experience hard times making it difficult to provide healthy meals. 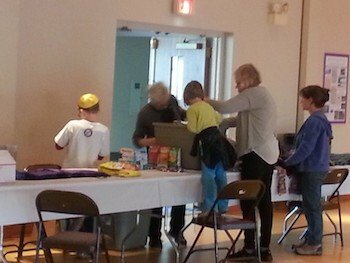 Commonly, a call goes out to the local Jewish community to provide these needed meals, but, in an effort to provide a more sustainable supply of kosher meals, the community got together to continue the legacy of MLK, Jr by preparing healthy kosher meals. The meals were then frozen to be distributed as needed. I hope you enjoyed today’s edition of Social Good Sunday. Please email me at [email protected] with suggestions for future editions of Social Good Sunday. Also, email if you’d like more information about the projects mentioned in these posts or to make a donation to any project. All projects mentioned are qualified 501c(3) corporations making your donations tax deductible.